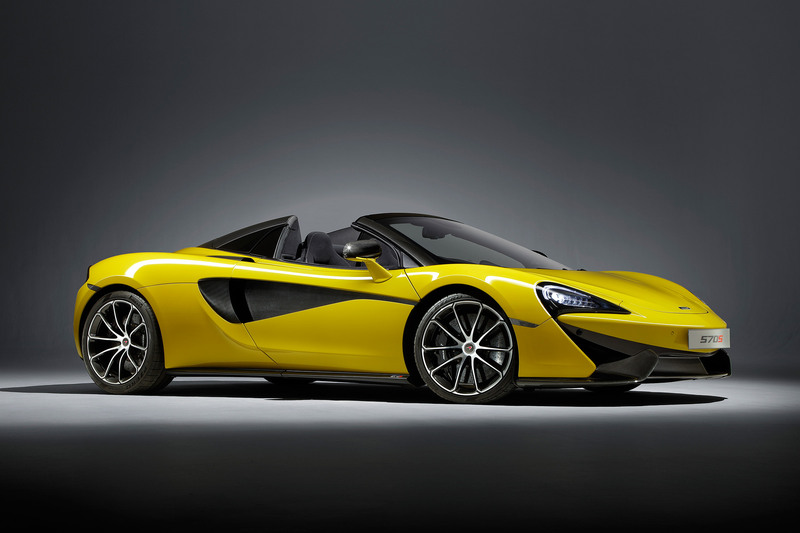 Almost immediately after Audi unveiled the R8 Spyder V10 Plus, McLaren hit back with this; the long awaited 570s Spider. 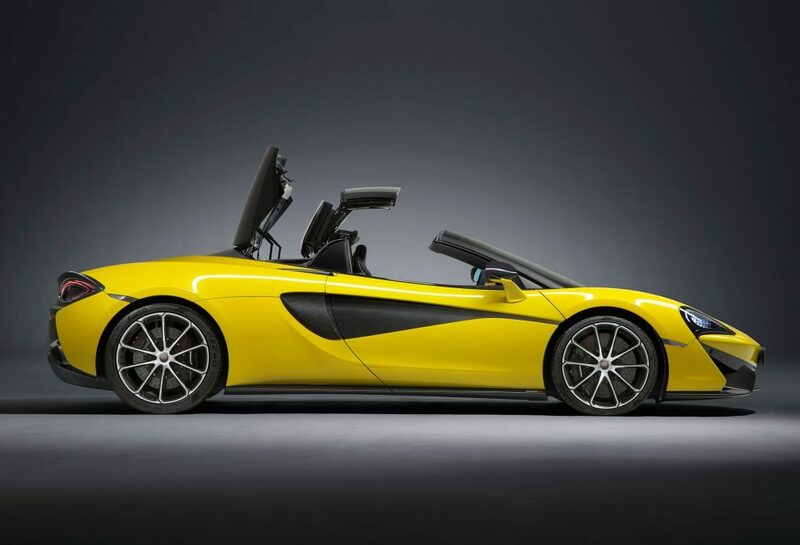 True to form, the roofless McLaren gives you all the benefits of open top motoring with none of the normal drawbacks. 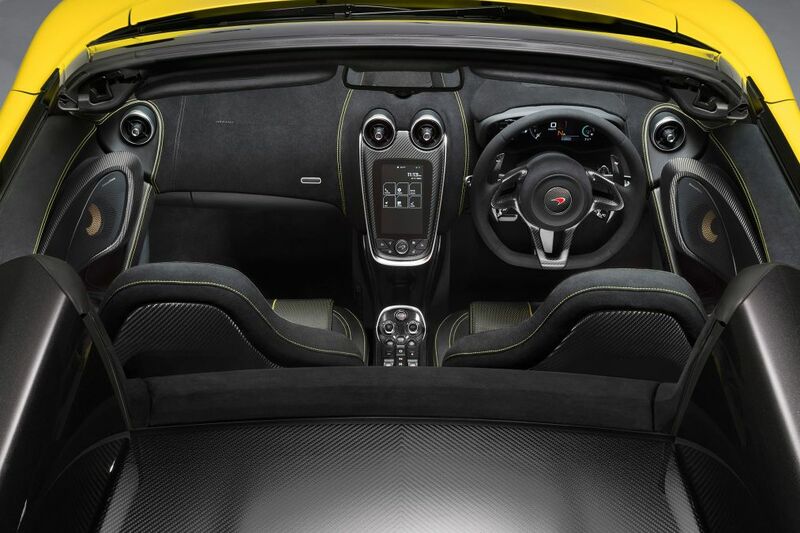 McLaren are able to pull off this trick thanks to their carbon fibre MonoCell II tub. The days of adding heavy braces and supports are well and truly gone. Aside from the two piece metal origami roof, nothing else needs to be installed to complete the transformation from coupe to spider. That means the only penalty for having unlimited headroom is 46kg. A sum the 562bhp 3.8-litre V8 scoffs at. 0-62mph remains unchanged at a blistering 3.2 seconds and top speed is 196mph with the roof down or 204mph with it up (1 more than the R8). 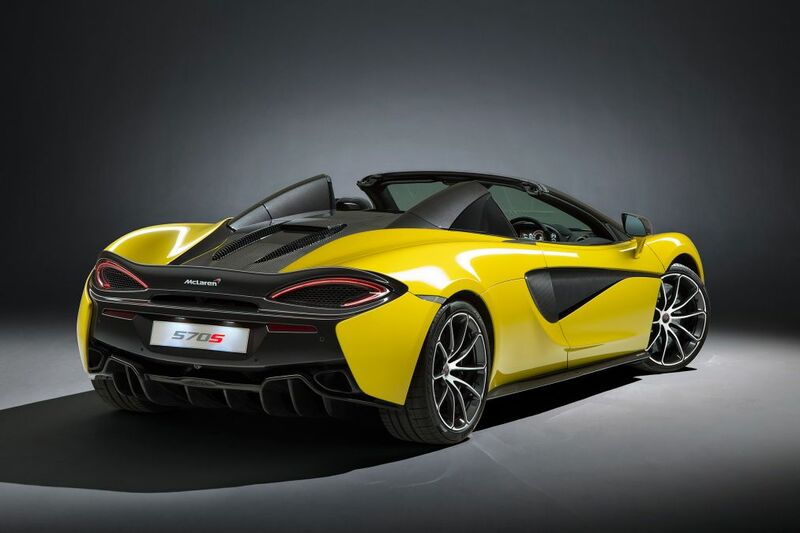 Because of the rigidity of the carbon cell, the 570S Spider will be every bit as good as the hardtop in the bends as well. The aforementioned folding masterpiece takes just 15 seconds to open or close and can be done up to 25mph. As with the R8 Spyder, there’s a wind deflector that can be lowered, so you can still get added noise even when the sun isn’t shining. Prices start at £164k and the first 400 produced will be ‘launch edition’. 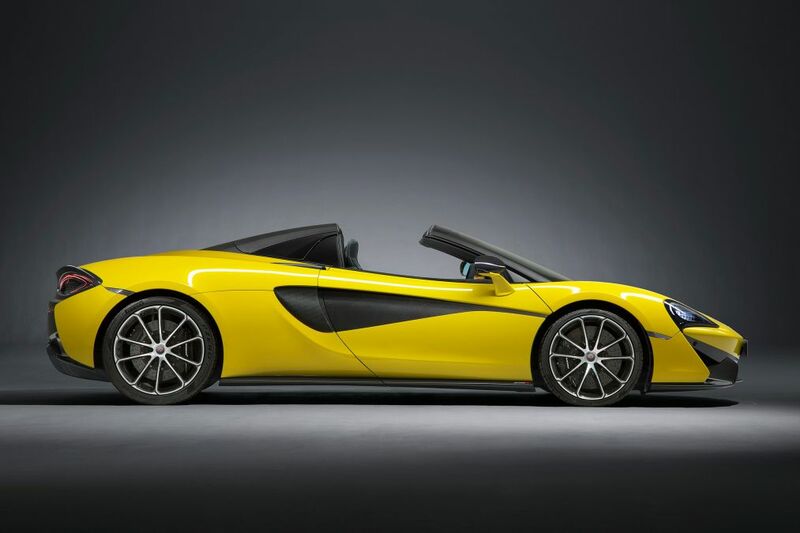 The 570S Spider will make its debut at the Goodwood Festival of Speed. This entry was posted in News, Supercar and tagged Mclaren.